AI is an enabler of creativity, which is why we should not fear it, but instead all be playing the long game, learning as we go. 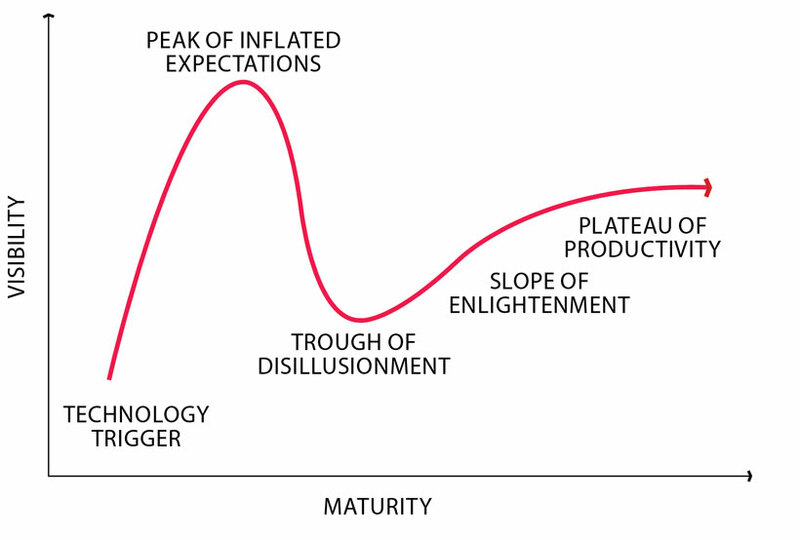 The most important graph to grasp in technology is the hype cycle. It tells you why our industry invests in all the wrong things, at the wrong times and why the long-termists win big in this high-stakes game. Advertising celebrates the new and novel. We’re always drawn to things that haven’t been done before, because newness is our guarantor of cut-through, headlines and head-turns. And because technology is an always-breaking wave, every day there’s something new to pick up, to peddle some newness. But we all see the same new things in that in-sync moment. Every year there is an abundance of ideas, yet we’re drinking from the same source. So many ideas and initiatives spring up that echo one another. We bore of them and dismiss them. "Not another QR code, not another parallax scrolling site, not another robot, chatbot, drone" and so on. All this has happened in less than one cycle, so just as the technology has settled in to the ecosystem, its role has started to crystallise and its real source of power has been identified, we’ve already moved on. The biggest winners play the long game in technology, and learn all the way along the journey. On the hype cycle, we’re on the steepest gradient, heading toward the "peak of inflated expectations" around the subject of AI. In familiar style, we’ve jumped straight to the "how robots are going to replace all our jobs" conversation before we’ve discerned the meaningful applications this emergent technology might have today. The reason we’re speeding toward AI’s "trough of disillusionment" is because we’re doing what we always do with a new technology: jump in because it’s new, not because it fits. When the disappointing results come through, we won’t blame our magpie-ish approach, we’ll blame the shortfalls of the technology. And this will be easy because everyone else will be doing the same. The subject that’s preoccupied the airwaves in 2017 is whether or not our jobs will be replaced by robots. While it’s a possibility, it is some years off. To reference another graph, we’re still in the "uncanny valley" of robotic human likeness. Nearly there, but not quite. It’s going to be a long time before tattooed robots are smashing out briefs in the creative pit. But AI is here now and it’s already incredibly powerful. We’re in the communications business and have a technology that can literally speak and interact with every single customer, with an infinite capacity to retain the tiniest details of every previous interaction and riff with this knowledge into the next. Interactive media allowed customers to journey through information to find their answers. Now they can just ask and we’ll hand-hold them through the process, making algorithmic best guesses as we go. While this vision might predict a future of unaided automation, the reality will be that as much energy, insight and creativity will need to be pumped into this practice as we currently expend on making work. Communication, especially when it’s highly automated, still needs creativity to shape its voice and values. It still needs content, it still needs to hand you back to the real world. Another adage is that with technology we tend to "overestimate the effect in the short term, and underestimate it in the long term", which of course correlates to the hype cycle. It points clearly to the successful strategy of taking careful steps in the short term that resist overexuberance, and then holding off the doubts that come with imminent anticlimax to get through the desert of disinterest. There’s a big difference between leaping on the bandwagon and testing the waters. While I wouldn’t advocate blind adoption, it’s better to be in and learning, than standing on the sidelines. Something particular to this new phenomenon is how many insights it yields that can be witnessed only from the inside. When our chief executive, Arthur Sadoun, announced that we were going to stash one year’s awards cash to fund Marcel’s creation, many a jaw dropped. But while we all wait with bated breath for Marcel’s first whispers, the project is already a success. Rather than talking, we’re doing, trying, trialling. We’re on a journey to see how AI can grapple with the complexities of a multinational organisation, where the ultimate product is human creativity. We know we can leverage our creative resources better, it’s just way too complex and nuanced to perform through more mechanistic, cruder tools. On day one, we were already learning. Whether we’re talking about AI as an interface with the customer, or a tool to enhance service, or enable or refine products, there are many potential roles it can play. Divining this potential is the first step. And as AI becomes more abundant and cheaper, and the community of enablers grows, pilots and trials will be easy steps toward evidencing the juiciest fruits. These will get us to the treasure trove at the end of the hype cycle. 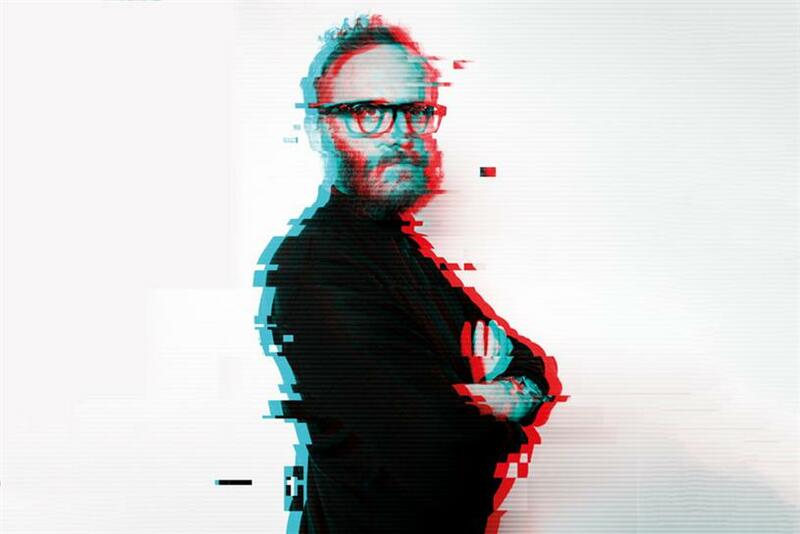 Nicolas Roope is creative partner and co-founder of Poke.